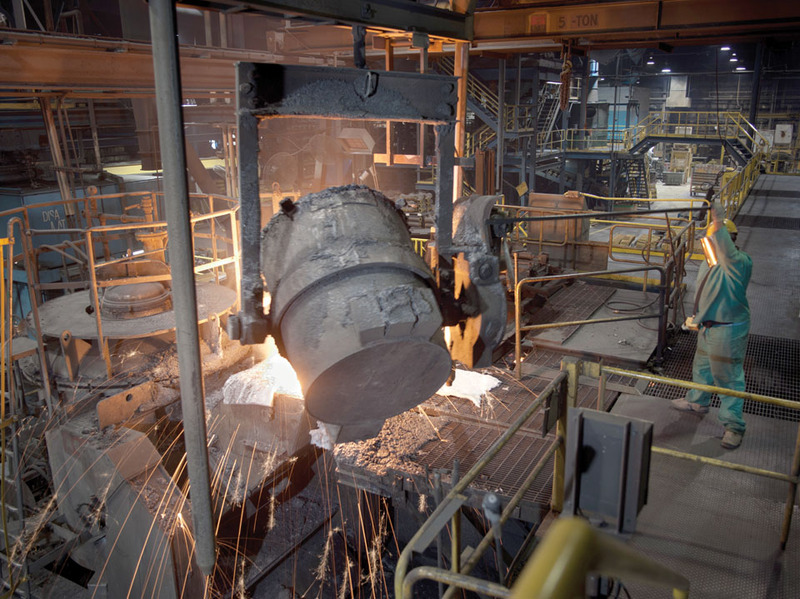 Most water control valves produced at Mueller’s Chattanooga Plant are made from ductile iron. The company that became one of the leading suppliers of potable water distribution products in North America and the leading name in water infrastructure might never have been founded had it not been for a German immigrant’s failed attempt at gold prospecting. Political upheavals in Germany in the 1850s prompted more than one million people to seek their fortune in other countries. One of those individuals was Hieronymus Mueller who immigrated to the United States in 1850 and settled in Decatur, Illinois where he set up shop as a gunsmith. He closed his shop the following year to take part in another adventure – the Colorado Gold Rush. Mueller joined other treasure hunters stampeding to the Colorado gold fields to try his hand at prospecting. His luck didn’t pan out, and he returned to Illinois. Mueller was particularly adept at understanding mechanical devices. He expanded his business to include locksmithing and repairing sewing machines and clocks. His skills led him to be appointed Decatur’s first city plumber in 1871 and to oversee the installation of a municipal water distribution system. Mueller struck gold. 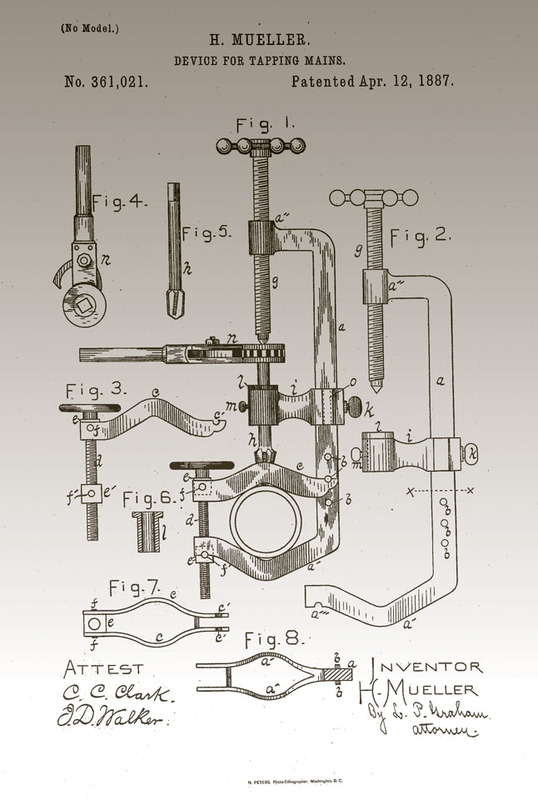 The following year he patented his first major invention, the Mueller Water Tapper which remains, with minor modifications, the standard for the industry. He and his sons went on to obtain 501 patents including ones for water pressure regulators, faucet designs, the first sanitary drinking fountain, a roller skate design, and a bicycle kick-stand. Mueller’s original two-story brick building constructed in 1895 gradually expanded to include a third story, another three-story office building and warehouse, a power plant, a soda fountain manufacturing plant, an engineering building, galvanizing facilities, and a gym, among others. By 1960, the campus consisted of more than a dozen buildings occupying six city blocks in Decatur. Additional expansions over the years included manufacturing and sales offices in New York, Canada, Michigan, Texas, and California. A Mueller munitions plant during World War II even developed an armor-piercing shell that was used by the Allies in North Africa to defeat Erwin Rommel’s Afrika Korps. The Mueller name arrived in Chattanooga in the mid-1930s with the company’s acquisition of Columbia Iron Works, another manufacturer of fire hydrants and gate valves with a presence in the city. In 2010, Mueller moved its corporate headquarters to Chattanooga bringing with it the company’s top management team. “Chattanooga is a much more central location for us,” said John Pensec, a company spokesman, at the announcement of the move. “It will help us grow the business and attract talent,” he said. 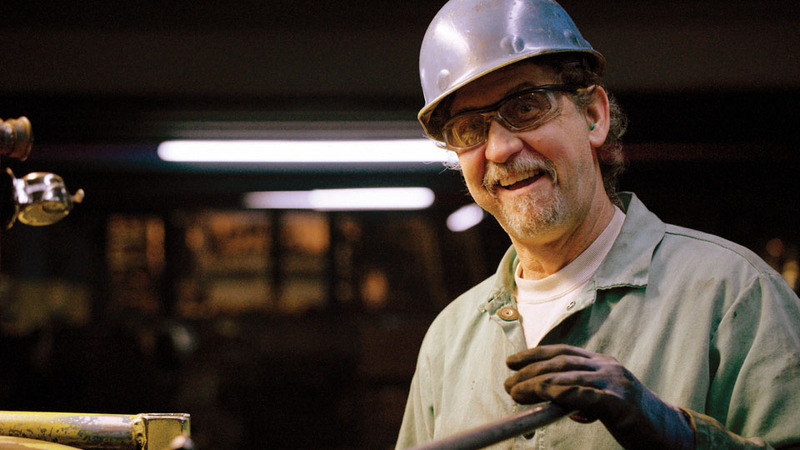 Mueller employees pride themselves in safety, quality, and teamwork. operations include three plant and warehouse locations in Canada. Three other plants and four regional sales offices around the globe have carried the Mueller name worldwide. Part of Mueller Water Products, Inc. (NYSE: MWA), the company offers a complete line of water distribution products including fire hydrants, valves, drinking and tapping machines, pipe repair products, and service brass. Mueller’s highly responsive sales and customer service teams ensure that each customer receives the highest quality products along with unsurpassed service. North Dakota State Water Commission’s Dickinson Finished Water Pump Station. It also led to Mueller being featured by Water & Wastes Digest magazine in its “Top Water Infrastructure Projects” in 2016. In the Chattanooga area today, Mueller Co. employs nearly 600 full-time people, part of the company’s 3,000-member global work force. 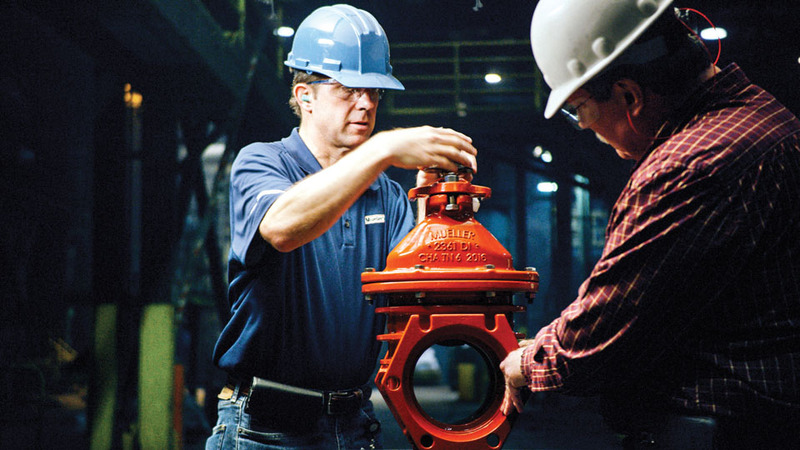 Employees take great pride in being part of a company that has grown to become the most recognized brand in water infrastructure, as evidenced by the company’s valves or fire hydrants being specified in the top 100 metropolitan areas in the United States. The Mueller management team believes that it is smart to strengthen the communities in which they live and work. The company’s Corporate Citizenship Focus includes corporate giving to organizations that promote water conservation and education, fire safety and education, and volunteer opportunities for company employees. Mueller is also active in activities ranging from United Way campaigns and Susan G. Komen Race for the Cure to corporate sponsorship of Chattanooga Lookouts and Tennessee Titans.